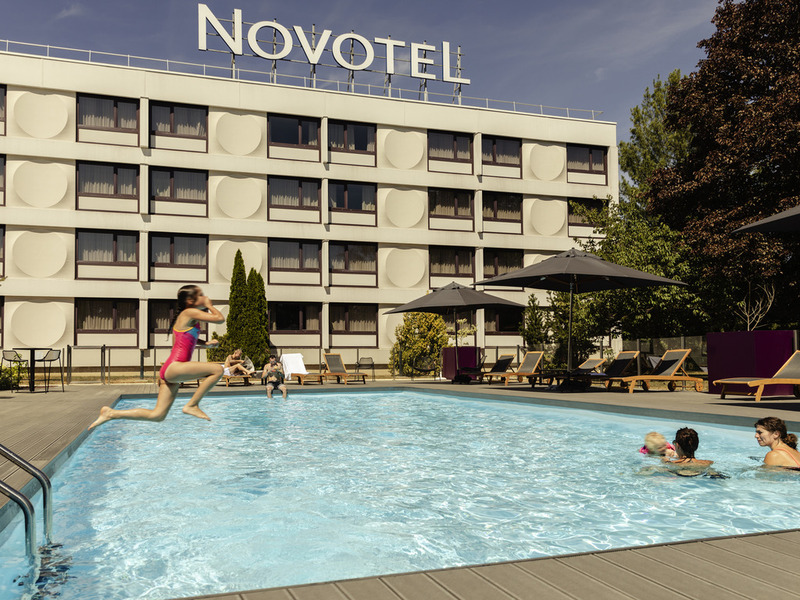 Only 3 miles (5 km) from the city center and easily accessible via the main highways, the Novotel Nancy hotel and its car park are ideally located for business or leisure travel. Our modern, air-conditioned rooms offer peace and quiet. In summer, enjoy our outdoor swimming pool or our shaded terrace, and enjoy a moment with friends at our GourmetBar with its own signature dishes. Our 4306 sq. ft. (400 m²) modular function space is perfect for your professional events or family celebrations. GourmetBar: Enjoy our signature dishes! Direct access to the city center and the convention center via lines 2 and 4. Come and discover our Gourmet Bar concept among colleagues or family. Healthy and tasty dishes served convivially. Enjoy a gourmet getaway on our sunny terrace, in the restaurant, at the bar or in your room.